So after that rather ridiculous explanation/excuse here's what I heard this year that I loved, that I think I will still be listening to in 2012 and beyond. 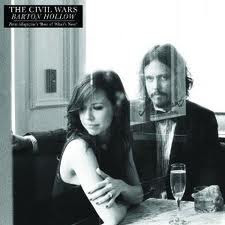 The Civil Wars Barton Hollow is probably my favorite CD of the whole year. I love it, I love everything about it. When I first heard The Civil Wars, it had that familiar feeling that always accompanies falling in love with something...like you're finding something you've been looking for all along. Maybe it's the style of the music..a sort of pop/folk vibe, or the raw longing some of the songs convey, I don't exactly know. All I know is that some of the songs have a beauty that pierces me right in the heart. I was so addicted to this album for SO LONG and even now it's a pure joy to listen to it. I've heard of Over the Rhine for awhile and just ignored them, but I finally gave in to buying this album when people were raving about it and I am so glad I did. 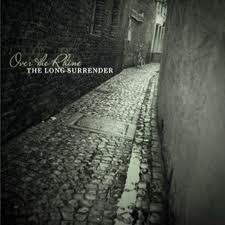 Over the Rhine's The Long Surrender is a very beautiful very different sort of album for me. I really love it, though, and I hope to have the time to discover more of their music in the future. (I did download Snow Angels for Christmas) "Oh Yeah by the Way" is one of my favorite songs brimming over with sadness and...a kind of familiarity even if I don't share the exact same circumstances as the songwriters. "All my Favorite People" is probably my other favorite on the album, for some reason it feels like a church song. I'm starting to sense a theme. I like melancholy stuff. 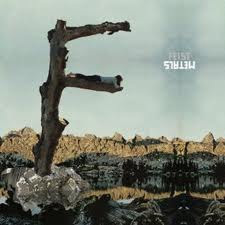 And Feist's Metals is certainly that, it's very melancholy. And yet I listened to it for days on end. If there's sadness here, it's wrapped in a very beautiful package, the kind I can listen to again and again. I was so pleasantly surprised the day this live CD of Andrew Peterson's was released. I figured we'd have to wait ages to get anything at all. 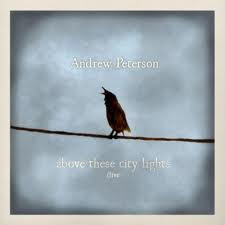 I can never have enough of Andrew Peterson's music so this live recording was a great treat. It's mostly songs from Counting Stars but it also includes a cover of a Rich Mullins song which is fantastic and beautiful and "High Noon" which is like, my favorite Easter song ever. If you like deep, thoughtful, poetic, beautiful, Christian music than you should be listening to Andrew Peterson. And...that's it. Like I said, there's still some music from the year that I feel like I haven't really spent enough time with and there's plenty that I have yet to buy and listen to. Oh, I also really liked David Bazan's Strange Negotiations but for some reason, I haven't really connected with it like Curse Your Branches--I mean, I had a very intense experience with Curse Your Brances I guess there was no way that could be replicated, I just expected to like it more somehow? But even so, I do really like it. I DON'T KNOW IF THIS MAKES SENSE. So that's me and my year in significant music. What did you listen to and fall in love with this year?